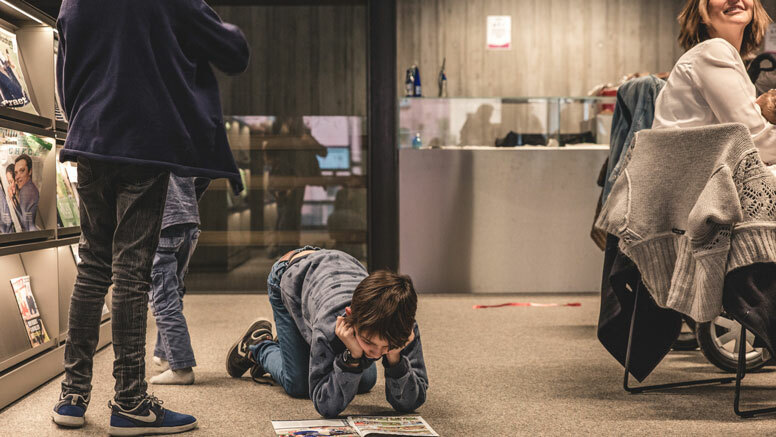 De Krook Library is a new cultural centre in the city of Ghent, capturing a spirit of timeless modernity and connection. De Krook Library and its subsidiaries are still public libraries, but use technology to improve and diversify what they have to offer: an app to choose from their collections, to reserve or renew an item; digital files on relevant and current topics; an online recommendation tool for greater reading pleasure, tailored to personal reading behaviour. The library itself provides room for activities, creativity and co-operation. A venue for debate and reflection, inspiration and research, discovery and meeting. 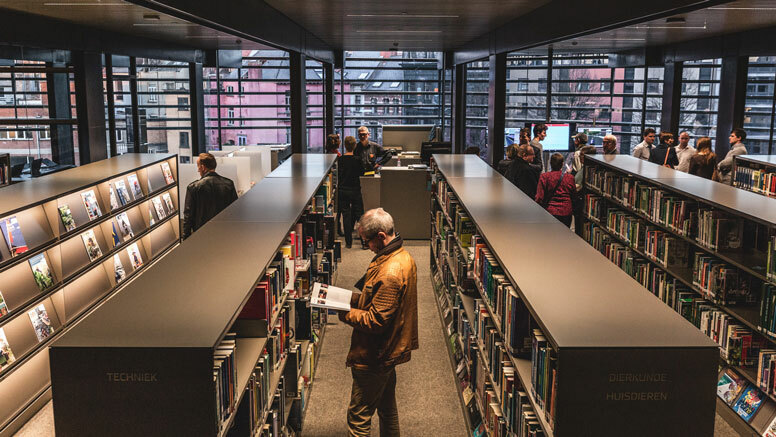 The library opens its doors to all ages and walks of life, offering study and work spaces, reading and storytelling corners, exhibition spaces, workshops and fab labs, a reading foyer and an experience staircase, 6 floors filled with books, CDs, DVDs, newspapers and magazines. As the future generation, children and young people receive special attention. 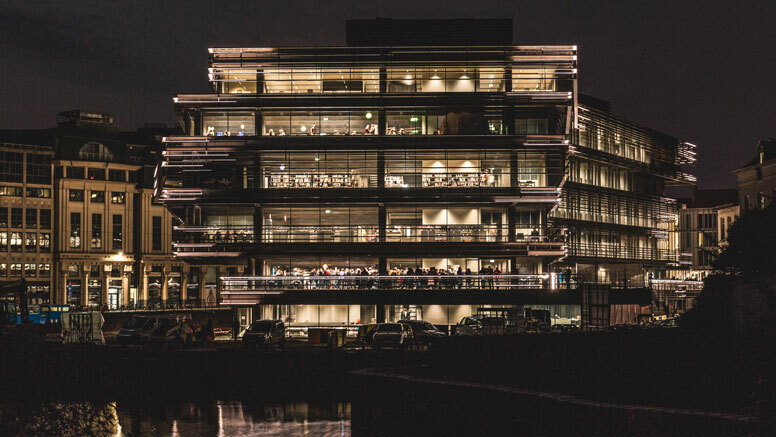 De Krook is also a place where Ghent University and imec (which has an office in Ghent) can present research, and a breeding ground for pioneering ideas and innovative startups. De Krook will become the leading source of innovation for Flemish companies. The building can be read as a stack of horizontal plateaus with a view of the Scheldt, which are intended to create a city within a city. In order to realise this aim, the building also needs to function like a city with its streets and squares. The physical link with the surrounding city is created by means of attractive views across the urban landscape. The building functions like a traditional department store, with its large atria and signature staircases which almost seem to be able to draw people upwards into the building. The ability to see inside and visual connections between the inside and outside are also important. 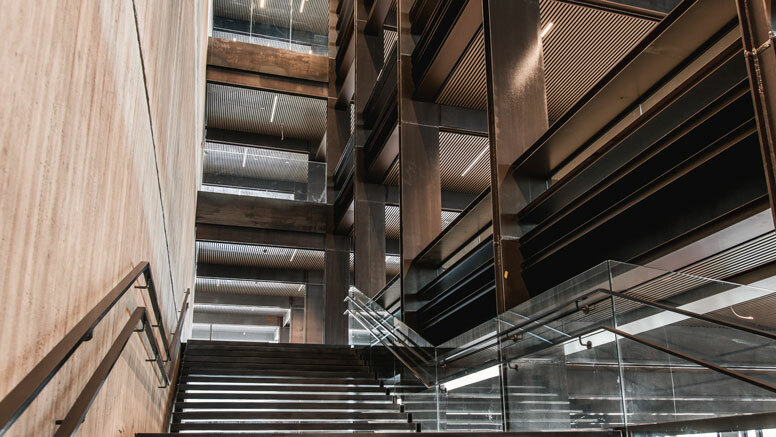 Visual connections and meeting spaces highlight the public nature of the building, which welcomes its surroundings as a result. The building spills over into the surrounding area, entering into a dialogue with it. The exterior and interior merge to form a single unit. The building is thoroughly at home in its location, both inside and out, and will become Ghent's living room. The building is therefore extremely transparent and open, allowing local residents to meet here once again and discover what this reclaimed location has to offer. The library opened in March 2017. Six months on, how are people reacting? “There is an undeniable difference between dream and reality. Some things turned out like we thought they would, others better than expected and some less. The specific architectural concept has been subject to discussion from the beginning. Some hate it, others love it – which is typical for strongly maintained concepts, of which De Krook is a good example. “In this specific case the architects opted for neutral, timeless, classical and soft colours (greys and browns) and durable materials (glass, steel and cement). They wanted the books and the people to bring the colour, as well as the cityscape outside (that is drawn in by the large numbers of windows). It’s a matter of taste as well. Some people miss the colour, others love the peace and simplicity. One thing personnel and visitors agree upon is the acoustics and intimate isolation, the fact that silent spaces and more noisy spaces are balanced out and that there are plenty of work/ study and reading spots. “But we cannot deny that problems with the building and installations are (still) putting pressure on the operation of the library. Of course aggravated by the unexpected high usage of the place and premises. Technical teething troubles we call them. We believe we need a year of operation to outgrow those. “We now see clearly where adjustments will need to be made in function of the actual use. Think of a new park where landscape architects design walking paths assuming that that is how people will walk. After a while you see new paths appear, elephants paths they are called, there where people actually walk. That is also the case in De Krook. Some pathways are too narrow because they were not intended to be used (people are encouraged to walk around the shelves, along the window line, but they look for a ‘short cut’). Annelies Storms, chair of the cooperative partnership Waalse Krook and councillor for culture, tourism and events. More about De Krook Library on its website, with a link to further information about the project. Downloadable documents on the essence of the library, the opening, more about the building, facts and figures, features, programmes. Only seven months after opening we welcomed our one millionth visitor. We never anticipated such a great success. 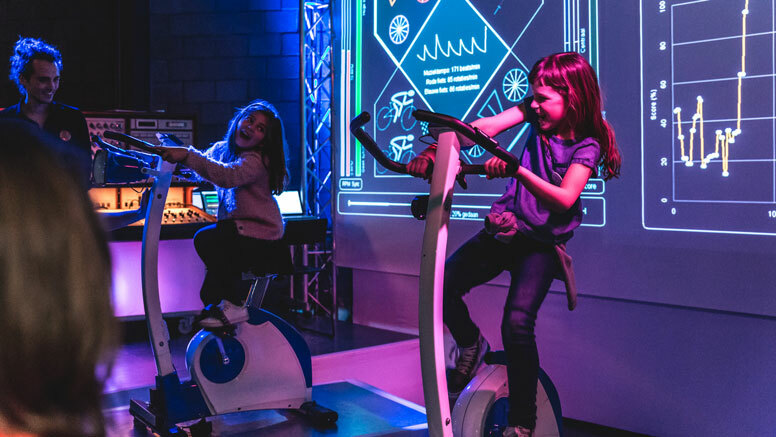 Our mix of services and partnerships has created a blend of interests beyond all expectations, and the citizens of Ghent are coming back to the library again and again. 20,000 visitors on the opening weekend. After years of decline issues are up. Children and teens issues up 35%. Largest new user group – people in their 20s and 30s. If there is one thing unique about this new library, it is that it is a library of partnerships which makes it so much more than a house of books. For example, De Krook will be Ghent University’s research showcase. The idea is to show visitors how the future is shaping up. 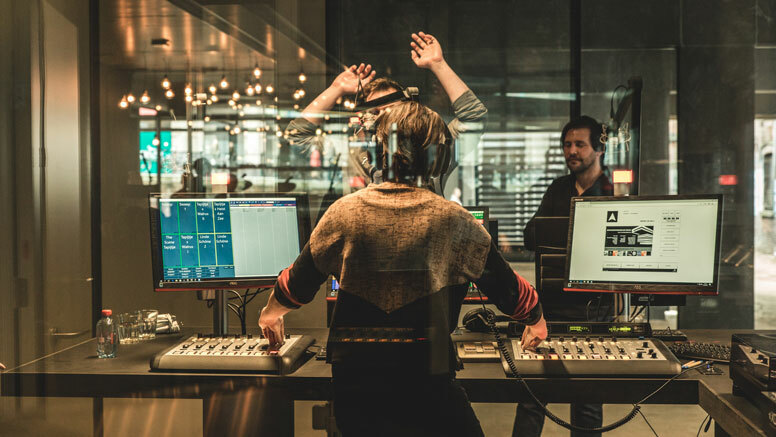 De Krook can then act as an interactive laboratory. Everyone is free to participate. 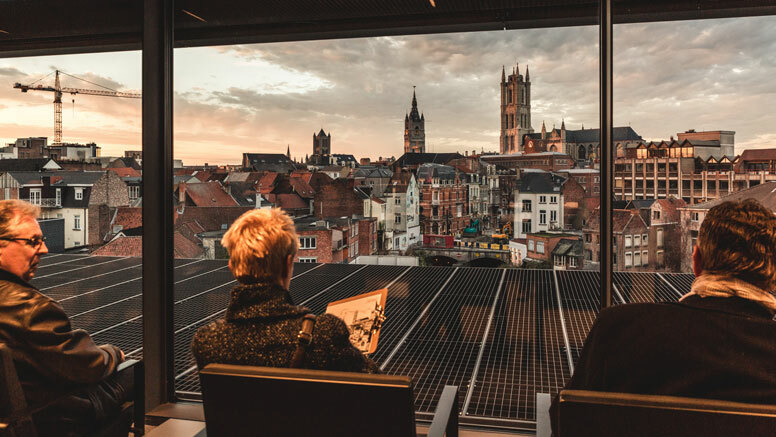 In the summer of 2017 Victoria Hunter visited Ghent's new public library. This is her report, published in Access Issue 16.